Happy International Day of Sign Languages from us! Sign Language Interpreters from across the globe sending congratulations in their national sign language to all. 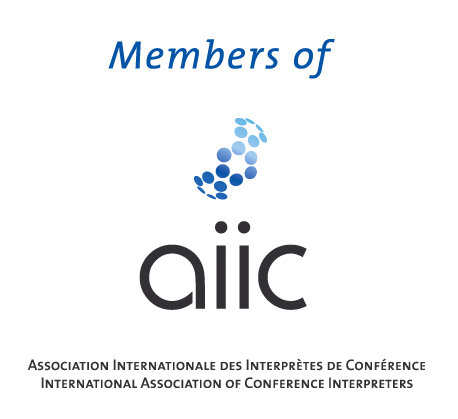 AIIC members interpret both signed and spoken langages at international conferences and meetings. 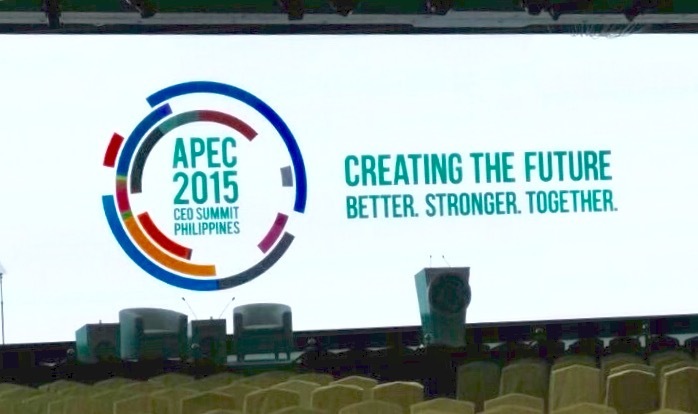 As Heads of State and leaders of 21 countries gathered for the APEC summit last week, CIAP’s interpreters braved tight security in Manila, Philippines to provide simultaneous interpretation between English and Japanese, Korean, Mandarin and Russian for the APEC CEO Summit. Security was tight in Manila. “Restricted access” was the order of the day. 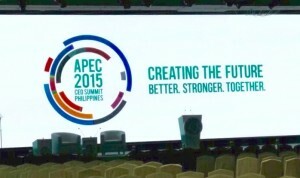 The event was opened by President Benigno Aquino III of the Philippines and addressed by heads of state and the chief executives of some of the world’s largest global corporations. Having organised teams of conference interpreters for numerous APEC events over the years (see our track record here), past experience taught us that 3 interpreters per language would be required. 2 interpreters per language is a minimum (find out why here). But when facing a tightly packed agenda and dense, rapidly-delivered content from high-level speakers, it often takes a team of 3 interpreters rotating regularly to interpret consistently and at the highest level. This ensures content is fully transmitted to the audience in their native languages, especially when interpreters are working both ways, from and into English. Moreover, hiring 3 interpreters per language is good contingency planning (read this to find out why this is so important), an advantage that proved its worth this week in Manila. Responding to the November 13th terror attacks in Paris, the Philippines government ramped up security measures and ordered the cancellation or rescheduling of most commercial flights. Although interpreters had to scramble to rearrange their flights to Manila and travel at highly anti-social hours, planning 3 interpreters per booth minimized the risk that some languages would be without the minimum 2 interpreters to provide simultaneous interpretation. 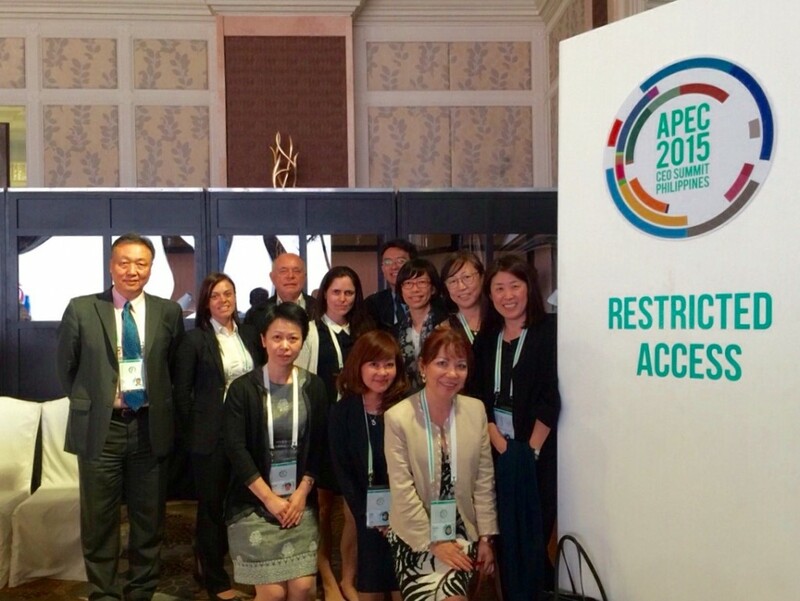 With three CIAP consultant interpreters on site in Manila, and a fourth working from Singapore to coordinate and assist with last-minute travel to the Philippines, all unforeseen challenges were overcome and a full team delivered seamless interpretation at this 5-language international conference. One of the many roles of a Consultant Interpreter is to advise clients on the number of interpreters required. Because we also interpret ourselves, by considering the meeting topic, draft agenda and languages involved, we can quickly assess the workload and recommend the appropriate team size for your event. 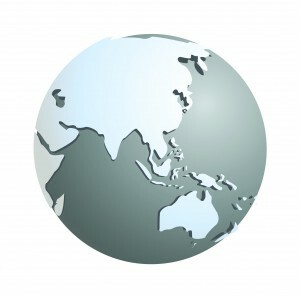 Click here to find a CIAP Consultant Interpreter closest to your venue. Two Centuries of Diplomatic Interpreting: From Top Hat To Short Sleeves Diplomacy by Jesús Baigorri-Jalón. More and more international conferences are held in Asia today, where our conference interpreters are called in to contribute to this “diplomacy by conference” in an increasingly complex and technical world, where experts take the floor just as often as diplomats, the Secretary General may welcome delegates via video-link, and NGOs with observer status are given so little time to voice civil society’s concerns that their statements are often read out at breakneck speed. 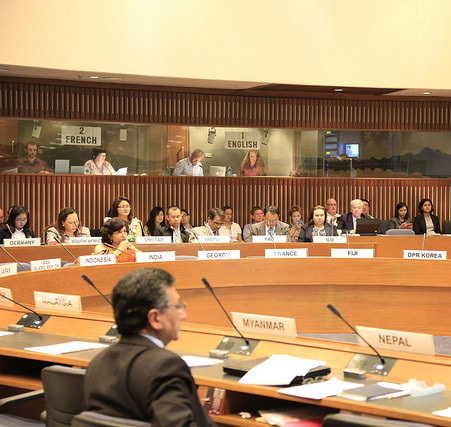 Professional conference interpreters in Asia, just like their counterparts based closer to UN headquarter cities like Geneva or New York, must master their art and be familiar with an ever-expanding range of technical topics and vocabulary. As the author remarks, easier travel and communication in today’s world has led to the proliferation of high-level summits, with world leaders meeting face to face more than ever before. November 2014 was a case in point. 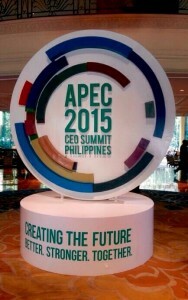 The 26th APEC Summit kicked off in Beijing on November 10th, followed the next day by the ASEAN and East Asia Summits in Nay Pyi Taw, Myanmar, then the G20 Leaders Summit in Brisbane, Australia on the 12th and 13th. More than one conference interpreter in Asia took to the skies, hopping from one summit to the next like the leaders they interpret! Many clients and conference organisers are unaware that there is a community of experienced, high-level conference interpreters living and working in Asia. CIAP’s consultant interpreters can assist in identifying and recruiting these interpreters, forming the teams of conference interpreters whom you can trust to take on that “most urgent business [that] never appears on the agenda. That’s the task of turning what is said in one language into another language with a maximum of accuracy and a minimum of delay” *. * White, Peter. T. (1955). The Interpreter: Linguist Plus Diplomat. New York Times, 6 November. Whether they be doctors, engineers, lawyers, dentists, architects, mechanics, translators or simultaneous interpreters, all professions need to have standards. What are they? Standards are rules on how a profession behaves, how it acts, to provide the services it renders to society in a manner that satisfies the needs and expectations of consumers. For instance, if you ask an architect to design your house, you expect the roof to be supported by beams strong enough to carry its weight and resist storms. Architectural standards prescribe the dimensions of beams, according to their material, so that they can do this. Standards are set by the respective professions or by international bodies, such as the International Standards Organisation (ISO) or, in the case of foods, by the Codex Alimentarius (FAO/WHO). Other bodies also set standards. Our interest here is in standards set by a profession. 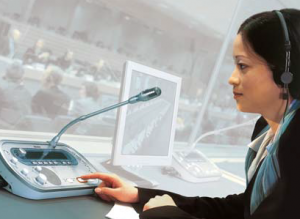 Conference interpretation requires highly qualified professionals and dedicated simultaneous interpretation equipment. In addition, you usually need a whole team of interpreters, not just one. To get the best cost-quality ratio, ask your Consultant Interpreter for advice. How much does this kind of multilingual communication service cost? In relation to the total costs of a conference, probably less than you think. An individual participant’s costs from another Asian country would come to about US$2500, allowing US$750 for airfare, US$250 per day for hotel accommodation, meals and incidentals and US$500 for registration. Dividing this by five, a typical participant would be spending about US$500 per day to attend the conference. 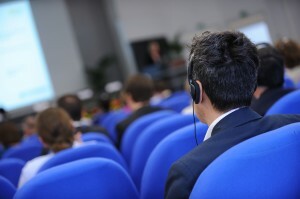 The collective costs of organizing the conference, such as rental of meeting rooms, tea or coffee breaks, documents, field trips, interpretation, audio-visual and simultaneous interpretation equipment, are usually financed by delegates’ registration fees and sponsorships. The registration fee for a typical conference might be about US$5600 per participant, including the interpretation service in three languages..
e. less frustration resulting from not understanding participants who are forced to speak in a language they do not master. If you ask a consultant interpreter to put together your team of interpreters you will find that the cost is less than if you go to another intermediary. Other intermediaries, such as translation agencies, subcontract interpretation and take a commission on interpreter fees or the total cost of interpreters. The level of commission may vary from 20% to 100% of the costs. To be competitive and optimize optimise their profit, other intermediaries may end up hiring non-professional interpreters. Professional interpretation at a major conference usually costs less than just one of the traditional banquets or receptions offered. Don’t be tempted to skimp on the cost of interpretation. Take international communication seriously, as we do. You won’t regret it.